physics, power is the rate at which energy is transferred, used, or transformed. The unit of power is the joule per second (J/s), known as thewatt (in honor of James Watt, the eighteenth-century developer of the steam engine). For example, the rate at which a light bulb transforms electrical energy into heat and light is measured in watts—the more wattage, the more power, or equivalently the more electrical energy is used per unit time. 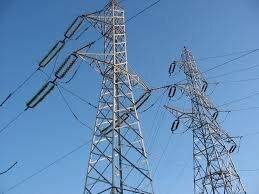 Energy transfer can be used to do work, so power is also the rate at which this work is performed. The same amount of work is done when carrying a load up a flight of stairs whether the person carrying it walks or runs, but more power is expended during the running because the work is done in a shorter amount of time. The output power of an electric motor is the product of the torque the motor generates and the angular velocity of its output shaft. The power expended to move a vehicle is the product of the traction force of the wheels and the velocity of the vehicle. Class 0.5 bi-directional energy and full power parameters measurement. Block or Rolling power demand measurement. THD, indivisual harmonics, and sag/swell power quality records. Data logging for alarm, sag, swell events with time-stamped. Report generation for daily and monthly power usage. Communication interfaces：Ethernet, RS485. Communication protocol：Modbus over TCP/IP for Ethernet, Modbus for RS485. Smart Power Meter with up to 4 channels of re-transmission analog outputs for field integration. 12 digital inputs for power system status monitoring. 2 digital relays for kWh pulse or alarm outputs. Automatic detection of voltage & current wiring. Multi-language support.